There will be an open mic on Thursday May 31 for musicians. singers and poets at the Pit River Casino from 6-9 p.m. This month will feature special guests The Begin Agains. Richard Bersbach provides great sound. It is a wonderful opportunity to hear and meet talented local people. Feel free to come perform or just to come listen and enjoy! 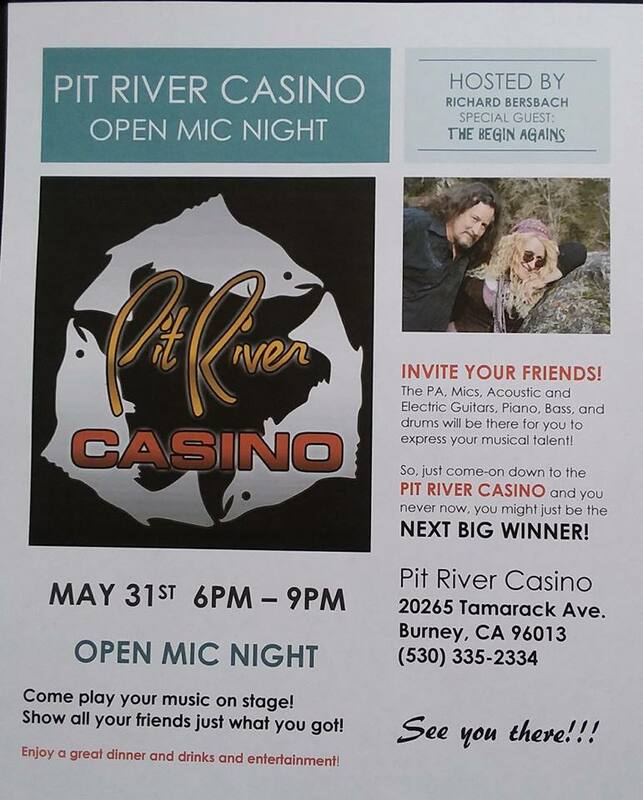 Richard Bersach hosts an open mic at the Pit River Casino the last Thursday of every month.